Back with President Lyndon Johnson was promoting his “Great Society” and pumping federal tax dollars back into local coffers via a program called Revenue Sharing, towns, townships and even counties were forced to adopt zoning and building codes before they were eligible for the money. Meeting the federal standards was no simple task. Most communities hired professional city planners to help draft “master plans” for future development, and then write zoning and land ordinances in accordance with those master plans. And many town councils found themselves adopting codes and ordinances calling for Utopian communities. The ordinances established the size of yards, the set-backs from rear and side property lines required before erecting houses and out-buildings, the number of windows and doors required in homes and even the design of new homes that were allowed. Governments adopted uniform building, plumbing, electrical and mechanical codes establishing the number of electrical plug outlets, the way plumbing, furnaces and even hot water heaters were installed and located. New housing developments soon lost their individuality and all the houses began looking alike. The term “cracker box” housing became a common expression. People couldn't erect a shed in the back yard to contain their yard tools without getting a building permit and having their work inspected and approved by building inspectors. Now as the cost of homes, maintaining them, paying the taxes and insurance and living with a rising cost of living while people earn less and less….and the energy crisis rearing its ugly head, those city ordinances so right for the 1970's are out of date and in the way of contemporary needs. People living in large houses in single family zones are prohibited from renting parts of their home to help cover the rising cost of keeping the house. Power mowers, snow blowers and weed whackers used to help in the task of keeping up such large lawns are not only noisy, but they are blowing toxic exhaust. The cost of heating these large houses is going through the roof. 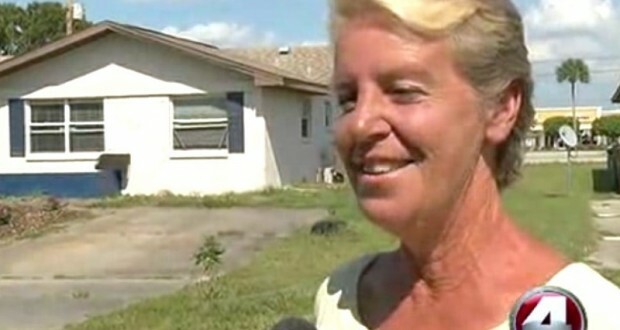 Robin Speronis, a 55-year-old Cape Coral woman and former real estate agent, is fighting fought over renovations she made to her small duplex to cut her utility costs. Speronis installed solar panels to generate electricity, installed a tank on the roof to capture rainwater, used a camp stove to cook and propane lamps to generate light and heat. The only public utility she used was the city sewer system. She had an ingenius idea. A city building inspector determined that Speronis was in violation of city ordinance. He attempted to evict her from her home for not using public utilities. A local magistrate supported the eviction notice. In June, 2015, a court ruled that Speronis can live in her home without being connected to the grid, although she must have electric, water and sewer services hooked up to the home. And she must comply with the International Property Maintenance Code which prohibits her from not using the city water and sewer service. As of this date she is still living in the house and still fighting the system. At one point in the battle the city shut off the sewer system and an animal control officer seized her two dogs claiming animal abuse. She has since gotten her dogs back. The Speronis case has captured the attention of the media. Hers is perhaps one of many such issues facing city, township and county governments all across America as citizens utilize innovative ways to heat, light and remain in their homes while getting “off the grid” in any way possible. It is time for local governments to take a new look at zoning and building codes and make them more flexible for the new lifestyle that looms. The homes of the future are going to be small and compact, and their occupants will be using solar, wind and other forms of green technology that will conflict with the old laws.